That’s what moms (and “Momagers”) are for, right? 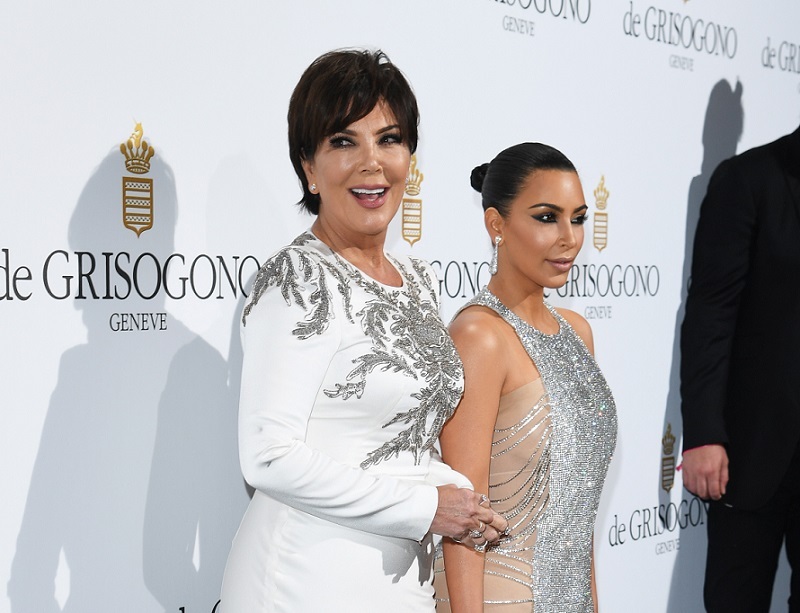 In a somewhat touching move, Kris Jenner offered to be Kim Kardashian’s surrogate for her next pregnancy. The news was revealed on their show, Keeping Up With The Kardashians, which has often touched on Kim’s desire to have another baby. After seeking multiple opinions, Kardashian came to terms with the fact that a third pregnancy would definitely be high-risk. "You’re always taking a little bit of a chance," Dr. Crane told her on the reality show. "There are situations where retained placenta could be life or death." The star was diagnosed with having placenta accreta, which occurs when the placenta attaches too deep into the uterus. Kardashian, already the mother of Saint and North West, didn’t let the news stop her from seeking alternative solutions. After all, it’s 2017 — a healthy pregnancy can be handled in multiple ways. During last night’s episode, Jenner — who is 61 — is shown getting a letter from a couple who were interested in buying her eggs. While Jenner’s advanced age made this risky, she did realize that she’d be able to carry a baby to term. Upon hearing the news, Kardashian brought up the possibility. While Jenner seemed flattered, she did mention that her age might make her a little nervous. "If I really thought that I could carry it for you and it would be born OK, I would do it in two seconds," she responded. We definitely think that the gesture is sweet — and we can only imagine how special that pregnancy would be to both Jenner and Kardashian. Kourtney Kardashian also offered to carry the child, proving that the family is genuinely strong. Also, we can’t forget that buddy Chrissy Teigen once vocalized her interest. No matter what, we hope that if she chooses, Kardashian finds a surrogate she has a similarly strong connection with.